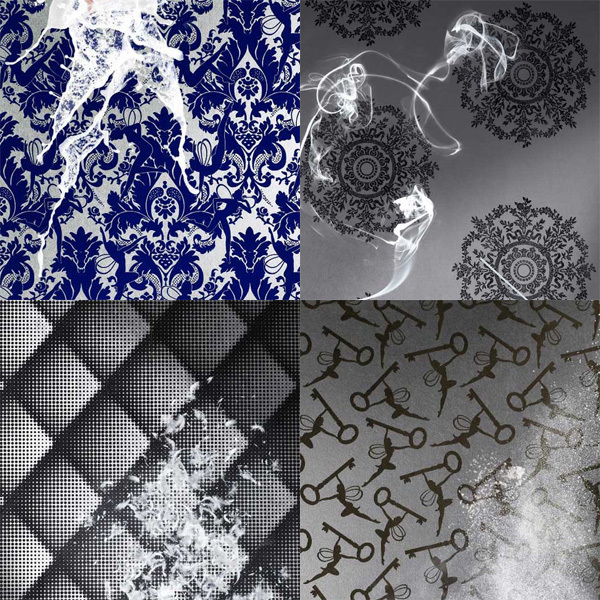 Whispers, the new flocked wallpaper design collection from Marcel Wanders for Graham & Brown. The Whispers Flock wallpaper collection is comprised of four patterns: Key muses, Forest muses, Braile Chester and Rose beds. So fun ~ check out the four patterns larger on the next page! 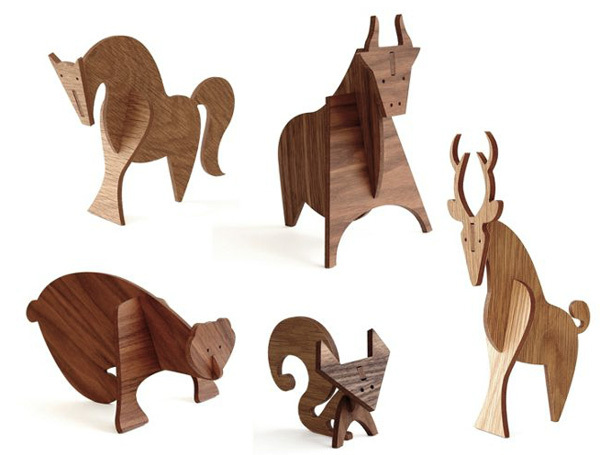 Just noticed these cute DWR exclusives, Moderne Wood Animals, designed by Linnea Gits and Peter Dunham. The description reads, “The founders of the Chicago design firm called Uusi, Linnea Gits and Peter Dunham are graphic artists who have produced work for Herman Miller®, Sharpie and Prismacolor. Their Moderne Wood Animals (2011) are crafted from American black walnut and white oak veneer that’s finished with nontoxic, odorless mineral oil. The designers selected these woods for their beautiful grain and because they are materials that have a rich history in the production of American-made objects. A lot of attention goes into how the direction of the wood grain falls across the form of each animal, making each sculpture a unique piece. The Bear, Bull and Horse were inspired by the Chauvet Cave paintings discovered in France and believed to be artwork from 30,000 to 33,000 years ago. 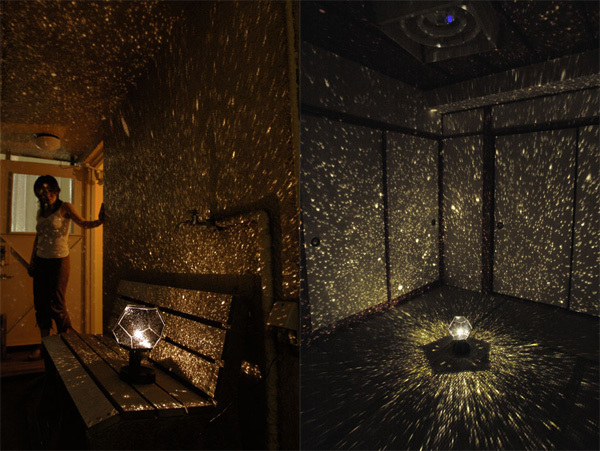 Each animal is packed in a box featuring an illustration of what’s inside. Very simple assembly required; the animals are comprised of a few pieces that need to be slotted together. Made in U.S.A.” ~ I love the shapes! It’s like the simplified/modernized version of those old wood toy skeletons of dinosaurs and such that you’d pop apart and slot together! Take a peek at the details on the next page! While i’m not a huge camper or backpacker ~ i’ve always had a fascination for the wonderfully efficient products that come out of their needs! They pack down to nothing ~ make use of every pound and every inch… multipurpose mixes that normall wouldn’t happen ~ somehow work! 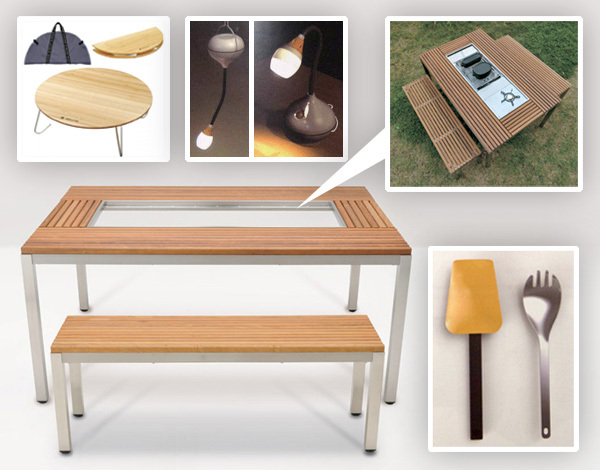 Tables ~ Cookware ~ Lighting ~ you name it ~ its some of the most functional and uniquely designed stuff out there! And i was just fascinated with the latest from Snow Peak! They’ve even made the jump that all the impressively modular camp kitchen ware and let it work at HOME in a gorgeous wooden outdoor table set! And their latest for this year ~ the Tulip lamp works in every which way ~ stand alone, hanging in your tent, bedside, you can get creative with it. I also adore the little round bamboo tables that work as well at camp as they do for kids or as a coffee table, and it folds up to make space into a nylon carrying bag. And as for unexpected mixes ~ how about a spatula that can turn into a fork or…. well check it all out on the next page! I love how these new products allow you to seamlessly transition your camping/adventuring gear into usable goods at home ~ or vice versa! What to do with all of those old toys? 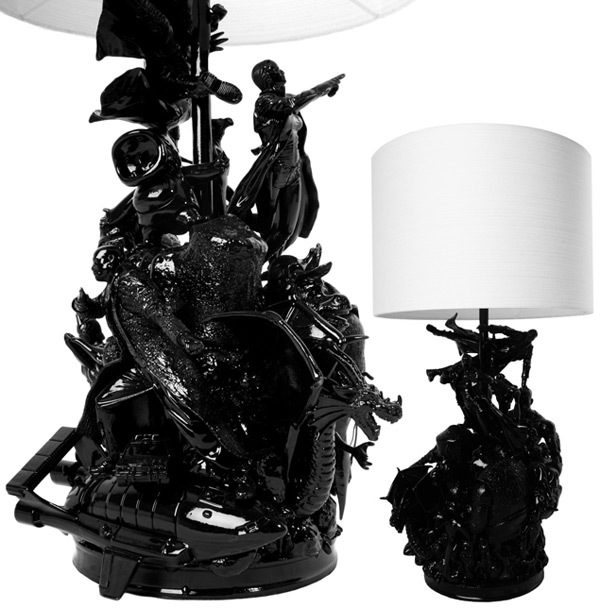 Well over at Freshome, just found out that you can commission Evil Robot Designs to merge your toys into a bespoke sculptural lamp… then finish it off in a single color high gloss finish… fun concept, playful execution… take a look at some closeup examples on the next page. 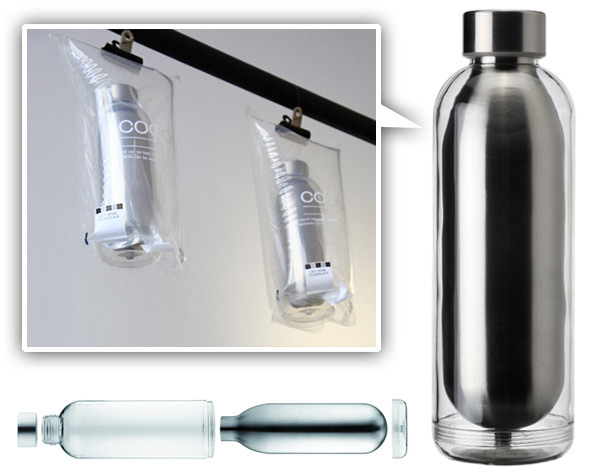 On fun new thermos/water bottle options, just came across this Cocoon Flask from Mar Mar Co., which debuted at London Design Week. Love that it’s packaging is in an inflatable “air box” case to protect it. The flask is designed by Torsten Neeland, and apparently it can keep liquids hot or cold for 3 hours. It comes in both matte and gloss finishes and holds 500mL. Something about the design reminds me of little gas cartridges… and i’m curious what the materials are like… and what the top lip is like if it all unscrews? Does that mean you can use the bottle with just the clear part? Anyhow, while i go look in to it all more ~ take a peek at close ups on the next page! 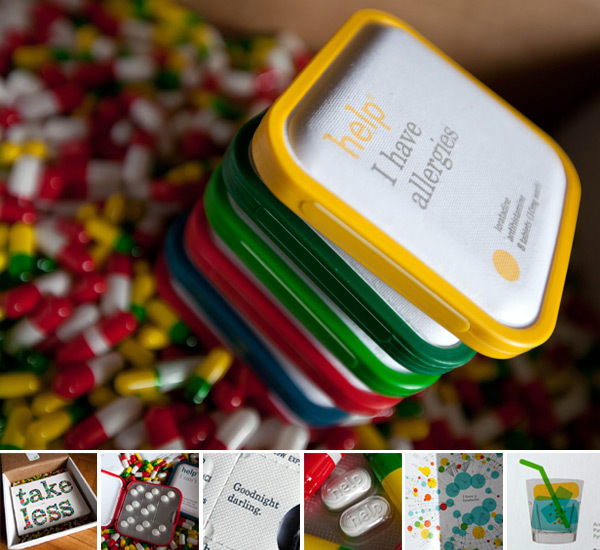 Help Remedies are beautifully packaged basic remedies from headache meds and allergy meds to bandaids. While they have been popping up in design stores, gift stores, and hotel mini bars for a while now, it’s exciting to hear they are spreading their philosophy of “Take Less” further ~ heading in to bigger national stores even! An awesome press kit arrived today including a few Help Remedies and a BIG board book filled with colorful, informative, playful content to explain their vision… all surrounded by gel coatings of pills to drill in the overdosing and confusion of the current state of over the counter meds. So take a peek on the next page to see the full unboxing, playful design details of Help Remedies, and a look in to the big board book! This monday morning i’m obsessed with a design icon. 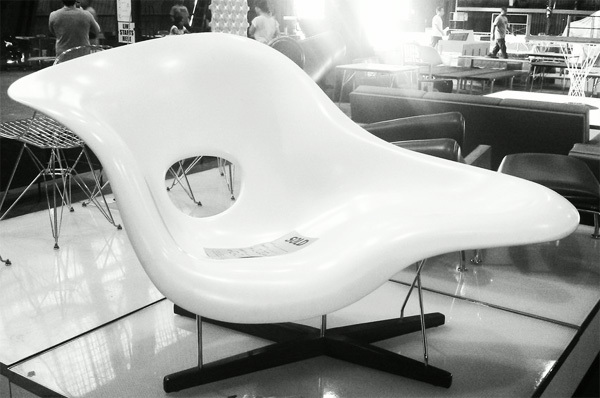 Found myself scouring the net for pics of the classic Eames La Chaise ~ “Charles and Ray Eames designed La Chaise in 1948 for a competition at the Museum of Modern Art in New York, inspired by “Floating Figure”, a sculpture by Gaston Lachaise. It is the unbelievable elegance of this assertive seating sculpture that enables any number of sitting and reclining positions, which is so very appealing. It has long since established itself as an icon of Organic Design.” La Chaise by Vitra is made with two fused fiberglass shells with a chrome base and natural oak feet. It’s just so beautifully sculptural, fascinating, AND comfortable to lounge in… see more pics i found on the next page. When this came into my inbox, my heart lept a little. I have a soft spot for pool tables, particularly clean, sleek ones that can disappear as your dining/conference table. Also the look and style of this is so similar to my Aramith Fusion Table. 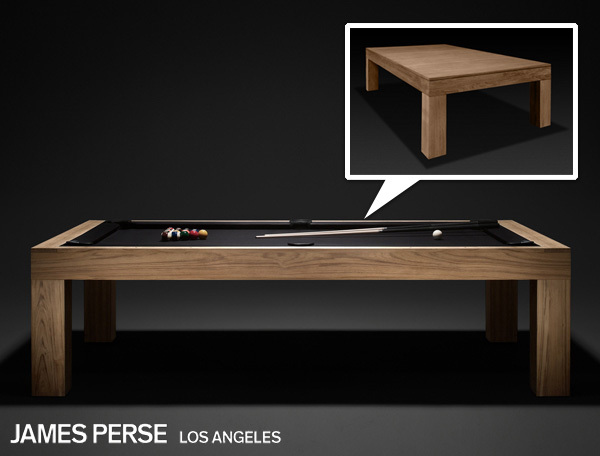 This new James Perse limited edition pool table is constructed from environmentally farmed solid teak and matches their furniture line. The table is solid teak, regulation 4’x 8’ size, matte black Simonis Combed Worsted Wool Playing Surface, matching wood triangle and diamond racks, leather custom pockets, stainless steel sights, heavy duty vibration leveling feet, is hand made in the USA, and includes a full set of accessories. 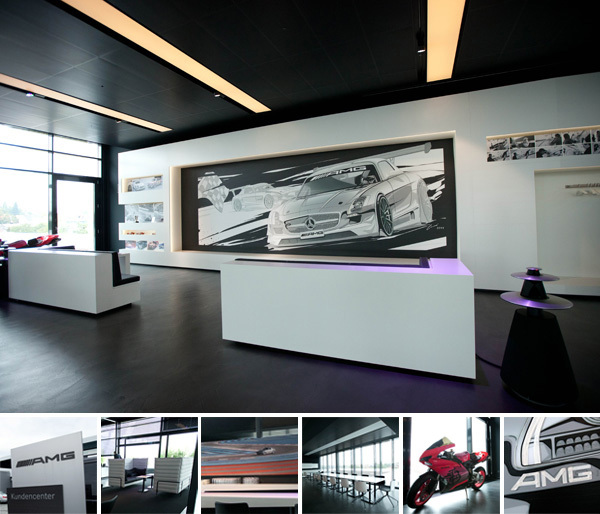 It also has an optional dining/conference table top. See more images and the tear sheet on the next page! This post is brought to you by Lowe’s, and is the brainchild of NOTCOT. Find inspiration and encouragement as you plan, begin and complete do-it-yourself projects at Lowe’s Home 101. Nothing screams fall quite like watching the leaves change… then drop. Then get mounded up, composted, crushed, collected, and jumped into! (You have to see the monster leaf pile vid on the next page!) So we’ve rounded up some of the awesome and fun contraptions and more we’ve found on the next page! 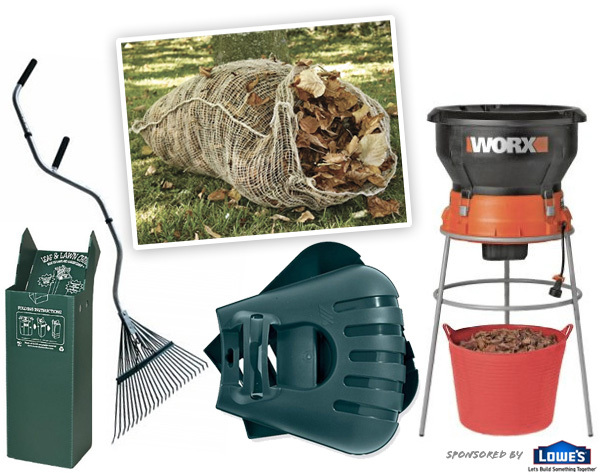 Composting offers a great way to turn your kitchen waste into something useful. Depending on your setup it can even be easier than doing the dishes. There are a number of strategies for working it into your life even for those without a lot of time or space. 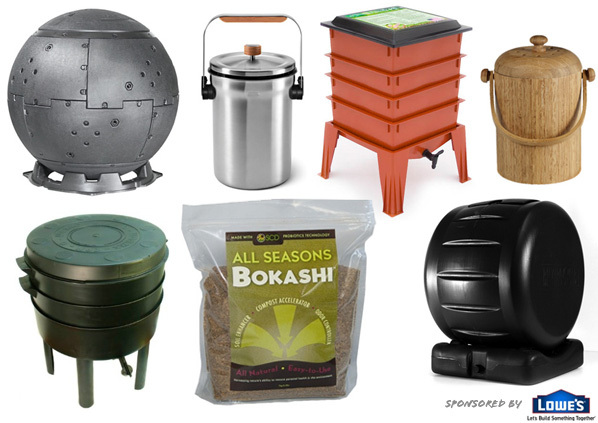 Today we decided to round up some of the interesting composting techniques and options we have today ~ from giant rollers, to worms doing the job for you, to magical Bokashi cultures, and the gorgeous little incognito kitchen counter contraptions you can use… see it all on the next page! 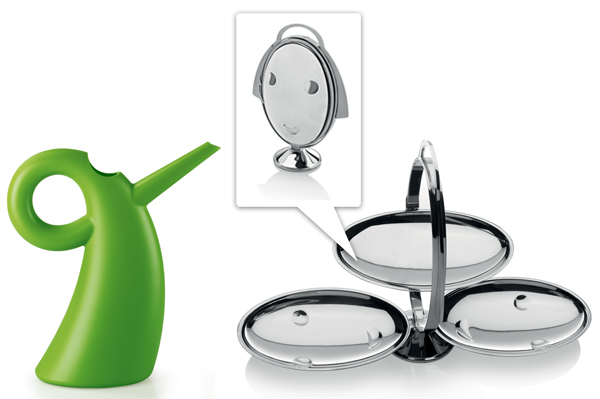 Sneak peek in to Alessi’s Fall/Winter 2011 product line ~ two grabbed my attention in particular. Eero Aarnio’s Diva watering can, is both elegantly simple and sassy all at once ~ in black, green, and a creamy white. And the Anna Gong is a nod at Mendini’s famous “Anna G” corkscrew and legendary folding cake stand “art.898”. Take a peek at closeups and more details on the next page. Having just touched back down in LA after a week of NY time ~ i must say, i do love california! And there is something strangely awesome about the shape of our state for a desk of coffee table apparently! 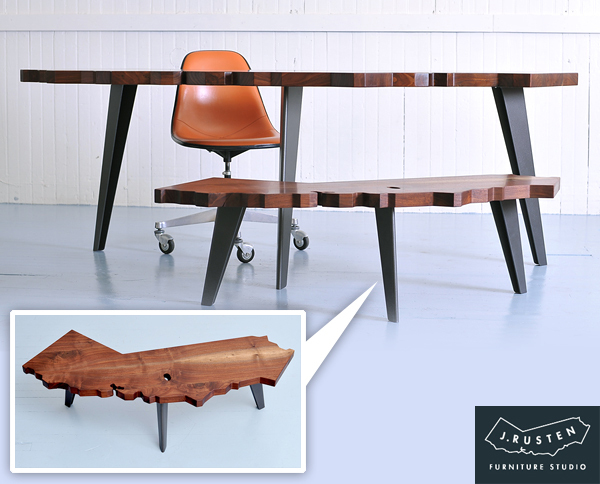 Just discovered this new line of California Desks and Tables by J. Rusten Furniture Studio in my inbox. Aren’t they lovely? You have to see more of the details on the next page… and i’m tempted by the coffee table! I imagine leaving a pocket knife on the table with an invitation to all my california friends and companies popping by to etch their names where they live… though the clusters around the big cities might be a bit dense, there must be a fun way to turn this wooden map of a table more interactive! Or imagine if you had other states as well that would interlock nicely to turn from desk to US conference table? Anyhow ~ detail peeks on the next page… will keep dreaming up more ideas. I find myself staring into the sky a lot lately ~ especially in dense cities like New York, i can’t help but to stare upwards often. The clouds are just different! And the sunsets and Manhattanhenge have been awesomely dramatic… so when looking for home inspirations for this latest Lowe’s sponsored post, it seemed like the perfect excuse to see the color palettes we can pull out of these many sunset pics i’m finding on my phone this week! Take a peek at some of the stunning views on the next page! p.s. I’m also playing with and very impressed with the camera/UX on the new HTC Sensation! 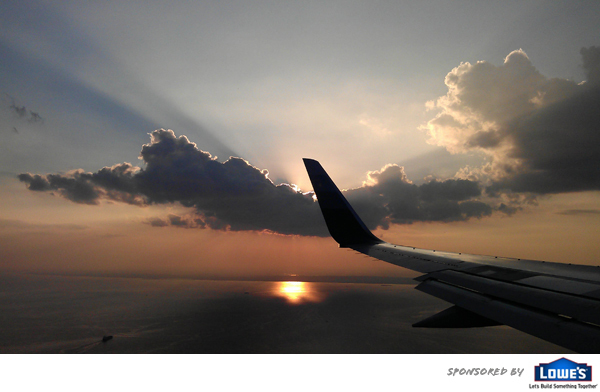 These sunset pics were all snapped with its 8mgp camera!